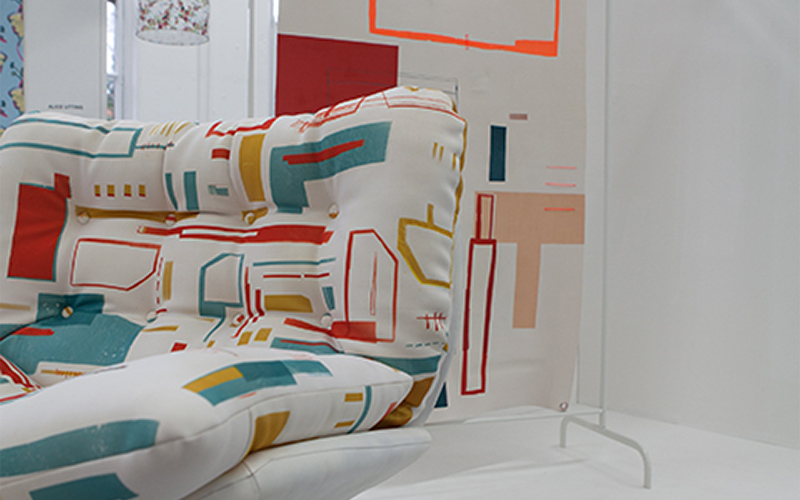 As part of their Best of British graduate talent exhibition, the National Centre for Craft and Design (NCCD) showcased Textile Design graduate Charlotte Eve Lindsey in the autumn of 2016. Charlotte Eve Lindsey’s work was selected by the NCCD to be included in their Class of 2016 show highlighting the best of Britain’s graduate talent. As part of its mission to celebrate and promote contemporary art and design, the Centre dedicates its top floor once a year to the work of those artists they identify as Britain’s rising stars. Their aim is to support and spur on the artists they see to be pushing boundaries with innovative working and thinking in their creation of exquisite objects. Charlotte’s work was on show at the top floor of the Centre from 10 September to 5 November 2016.